The seminarian knelt upon the chancel steps, anticipating the moment ahead. A life spent studying the Holy Scriptures, a life filled with encouragement from family and teachers, suddenly reaches the moment of ordination. Through the laying on of hands, the Holy Spirit equips, empowers, and calls this one who is chosen to shepherd God’s people. 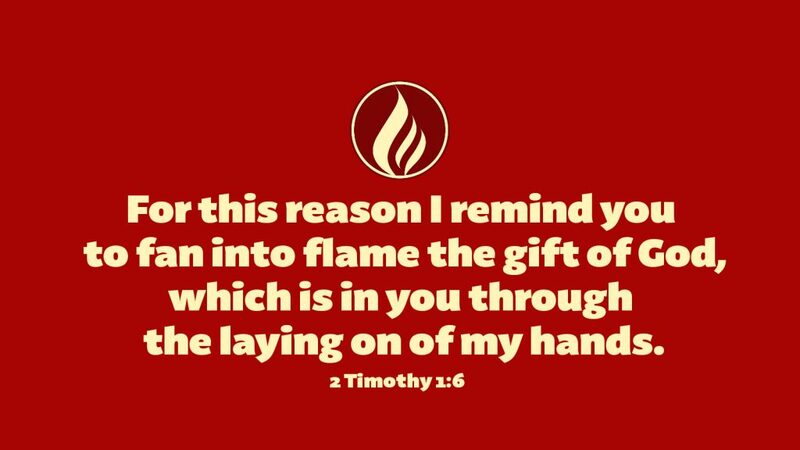 Giving thanks for those who raised young Timothy in faith, Paul reminds Timothy of the power with which God has blessed him. He is to be an example of faith. Through him, our Lord will work wonders. Timothy will preach God’s Word, preside at God’s table, and fan into flames the faith of those whom he loves. The confirmand knelt upon the chancel steps anticipating the moment ahead. She has spent three years studying with her pastor. Parents encouraged her, modeling a life in Christ. They placed the scriptures in her hands, brought her to worship and taught her to fear and love God. Through prayer and the laying on of her pastor’s hands, this same Holy Spirit stirs her faith to action. She believes, and is called to grow in faith. Through her, God will work wonders. Prayer: Holy Spirit, lead us in faith, that we might be a powerful witness to your truth and love. Amen.